Home Facebook latest 1 Year On: Is Mark Zuckerberg On-Track to Donate 99% of his Wealth? 1 Year On: Is Mark Zuckerberg On-Track to Donate 99% of his Wealth? 1 December 2016 marks one year since Facebook CEO Mark Zuckerberg and his wife Priscilla Chan announced that they would be giving away 99% of their Facebook shares to philanthropic causes whilst they're still alive. So far, things seem to have been going fairly well, with hundreds of millions of dollars' worth of shares having been sold by the pair's two philanthropic entities, the Chan Zuckerberg Foundation and CZI Holdings LLC. One year on, however, although it does seem the Facebook kingpins are living up to their generous promises, the pace at which this has been happening has been more gradual than it seems. In September 2015 (before Chan and Zuckerberg made their pledge), Facebook's market value was about $245 billion and the company had about 2.8bn shares outstanding. Back then, investment website Motley Fool claimed Zuckerberg owned about 475 million of those shares. Since then, however, he's been giving them away to pursue the foundation's targets of 'advancing human potential and promoting equality' through education, curing disease, connecting people and community building. According to Forbes, Zuckerberg has previously claimed he 'will not sell or give away more than $1bn in Facebook stock per year through 2018.' So, what's actually been done so far? In short: the foundations are taking shape, but there's a long way to go. To begin, let's consider what at first seems to be storming progress. In August, Chan and Zuckerberg sold their first huge load of stocks ($95 million worth); then, two more sales in October and November went for a total of $380m; and finally, two weeks ago, Zuckerberg sold another $95 million worth of shares (over 780,000 of them). Those transactions mean we end up with about 1% of Chan and Zuckerberg's shares going to their philanthropic entities this year. A great start, for sure. But here's the thing with these charitable donations: when we're talking such mind-boggling numbers, they either happen very slowly, or not necessarily at all. 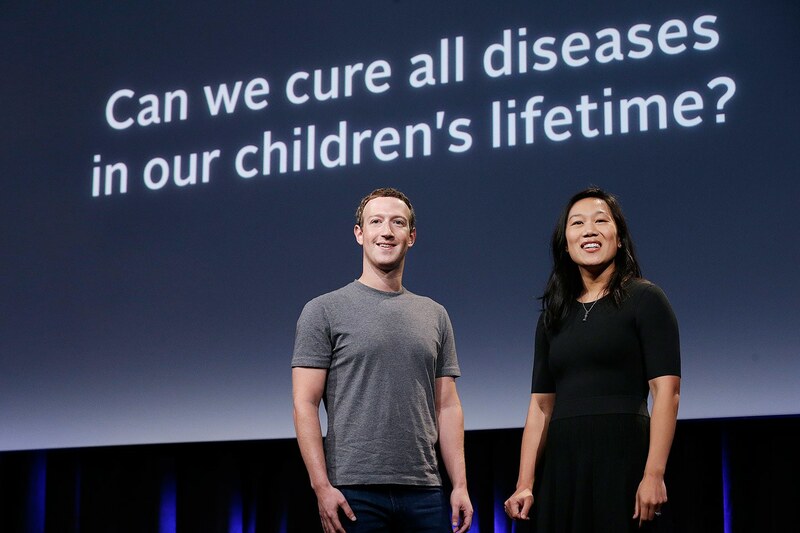 Chan and Zuckerberg are using their own foundation to mediate their philanthropy; and that's not the same as a direct charitable donation. Just because the CZI Holdings LLC has sold the shares and turned them into cash doesn't mean the money's gone anywhere: it just means it's now in a form in which it can be given away. Indeed, not only are such foundations less transparent than charitable organisations, but they also afford certain tax advantages and, what's more, the funds within them could even be withdrawn by Zuckerberg at any point. Today, Facebook is worth about $370bn, and has just under 2.9bn shares trading (although the latter will fall with a buyback next year). Still, despite having less shares, Zuckerberg is personally worth significantly more than he was this time last year: over $55bn compared to $46.8bn, thanks to Facebook's growth as a company in the past 12 months. However, let's not get ahead of ourselves. Indeed, let's give credit where credit is due. Firstly, Zuckerberg didn't have any obligation to make philanthropic moves at all. Indeed, when he and Chan last year announced that they would be giving away not only a few billion dollars but essentially all of their fortune, it was genuinely uplifting to hear. There's little doubt that social responsibility does flow in Zuckerberg's veins. In 2010, for example, he gave $100m to the Newark public-school system (albeit unsuccessfully). So, let's not do him down unfairly. Secondly, we should probably mention: this isn't the only philanthropy coming from the Facebook top brass even this week. 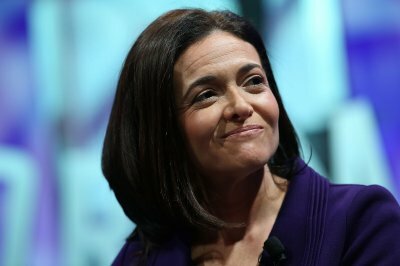 On Thursday, it was announced that Sheryl Sandberg, Facebook COO, will be donating $100 million worth of her shares to the Sheryl Sandberg and Dave Goldberg Family Fund. Personally, Sandberg is worth $1.3bn and indeed, it's not even the first time this year she's given away a huge amount. Still, we do have that problem to address: why don't they just give the money away? Well, both Sandberg's foundation and the entities owned by Chan and Zuckerberg are set-up in their very specific way at least partly for reasons of effective altruism. Chan, Zuckerberg and Sandberg all want to invest smartly and carefully, so they don't end up just throwing cash at problems (essentially, in the manner of a Newark 2.0). The basic timeline of the past year tells that story better than anything for Chan and Zuckerberg. First of all, in its initial six months, their foundation didn't actually do very much until it hired an education expert in May: less a monetary donation and more a long-term investment. Similarly, in June, the foundation announced the first big entity it would be investing in: Andela, a startup that trains and recruits software developers in Africa, to which the foundation pledged a total of $24 million. Finally, in September, they pledged a further $3bn to fighting disease over the next decade, representing the foundation's first move on science. These maneuvers, however, are not cash-splashes. Rather, they're indicative of a cautious yet responsible start to what could potentially be a massive overall boost for the causes which Zuckerberg ultimately seeks to support. Thus far, however, most reports you're likely to have come across will claim that Zuckerberg has 'given away' money when, in actual fact, it's either the case that he's been donating stocks to his own entities, or that those entities have been selling those stocks and turning them into cash which could then be given away in the future. This isn't an exposé, by any means; it's just that things aren't exactly what they seem. So, it isn't that Zuckerberg is covering things up. Indeed, it's not even necessarily that he's more controlling than he seems, or that, as Fortune Magazine claims, he's shown 'no signs of wanting to step aside [from Facebook] to focus on charitable donations the way that Gates did.' But, on the other hand, he certainly isn't, as some have called him, 'The God of Donations'. At least not yet. The real point here is that we shouldn't necessarily get carried away believing that the huge figures we're currently seeing are necessarily doing the kinds of good that they're capable of. Again, at least not yet. The past twelve months have been a slow and steady start to the realisation of a huge, potentially incredible pledge. Indeed, necessarily so: it could do more harm than good to rush things in the early stages. After all, we're talking about tens of billions of dollars moving around. Mark Zuckerberg is currently on-track to give away 99% of his wealth responsibly; but that doesn't mean that such a feat will prove much easier than making the billions to begin with.